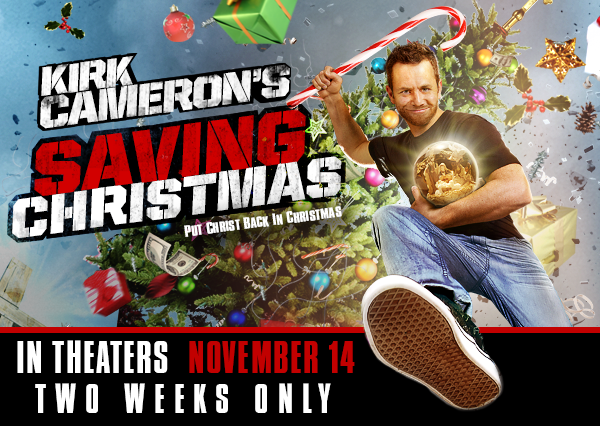 Alison Shaffer: Giveway: Swag from Kirk Cameron's Saving Christmas film. 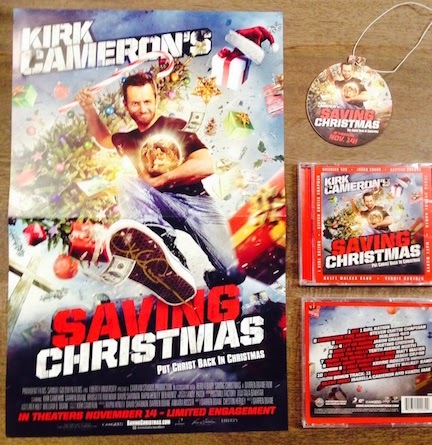 Giveway: Swag from Kirk Cameron's Saving Christmas film. The older I get, Christmas seems to become more of a chore than what I remember as a child. So much shopping, errands, wrapping, and expenses. I know what Christmas is about, but sometime I loose sight of that and get tired of the gifts and rushing around. BUT, then I stop and think it's not about me, it's not about stores full of merchandise we may or may not need or want, it's about the birth of a baby, Jesus. In this new film: Kirk Cameron's Saving Christmas , he explains to his Ba hum bug brother in law what Christmas is-from Santa, to the lights on the trees, everything has a meaning in the birth of baby Jesus. A good lesson for us all to revisit. It did me a whole lot of good to watch this movie and find the spirit once more of Christmas time. The film is wonderful, the scenes are so beautifully decorated, and it's real life people enjoying the Holiday season, well except his brother in law-watch how Christmas is saved! Spread glad tidings of good cheer where ever you go!!! I'm ready to decorate my own house! GIVEAWAY: for your chance to win , A SIGNED Saving Christmas movie poster (by Kirk Cameron), the soundtrack to the film, and a car air freshener that smells like a Chirstmas tree, enter the rafflecopter widget. open to residents of USA and Canada. thank you all for the entries and shares! click on the link if the widget is not here!